Angela Cabassa attended the University of Florida, receiving her Bachelor of Science degree in Psychology in 1991. In 1995, she received her Juris Doctorate with honors from the Florida State University College of Law, where she was a member of the Law Review. Prior to joining Bush Graziano Rice & Platter, P.A. in September 2004, Angela was a Senior Cabinet Aide for the State of Florida and a litigation attorney for two other Tampa area firms. 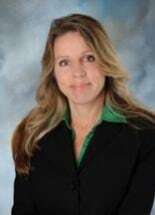 Angela is a member of the Florida Bar, the Hillsborough County Bar Association and the Carrollwood Bar Association. She is admitted to practice in the State of Florida and the United States District Court, Middle District of Florida. Angela's practice focuses primarily on commercial litigation and long-term care defense.